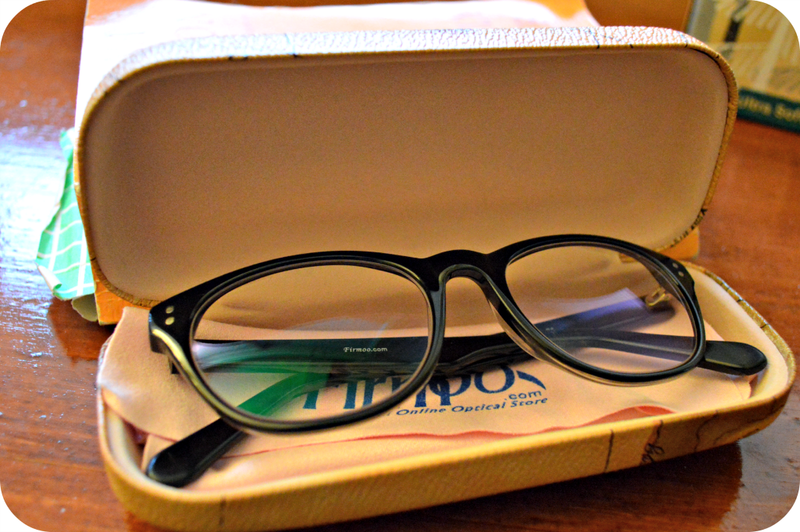 When Firmoo offered me to try a pair of glasses, I was instantly excited. I’ve noticed a few others posting about the company, so I was happy to try a pair for myself. Note: All opinions are my own. As much as I keep asking, nobody pays me to write this stuff. Seriously. 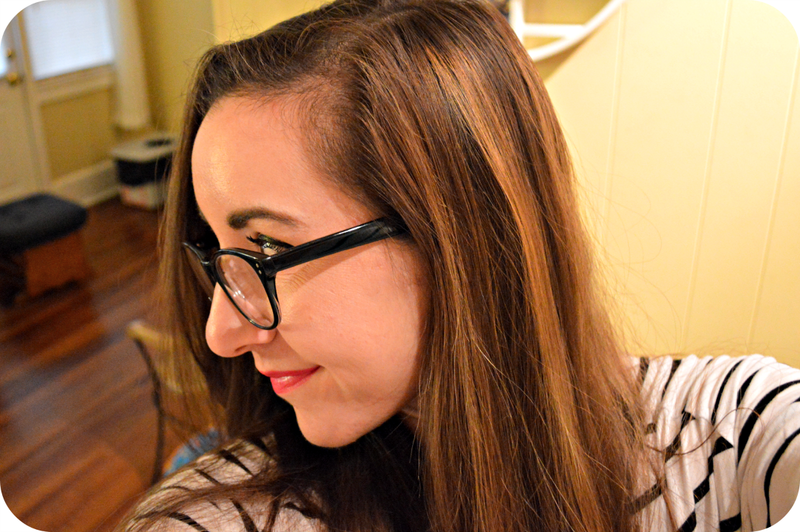 I hesitated for a moment because I don’t wear glasses, so that clearly seemed like a problem to me. 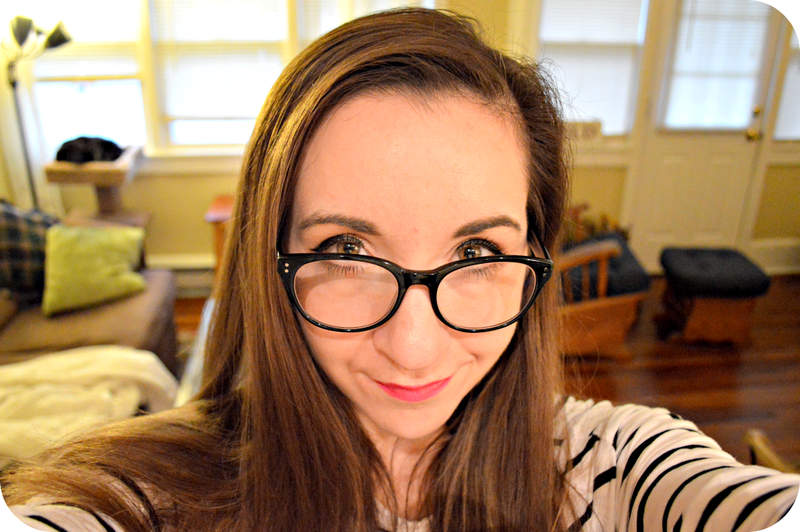 Luckily, I was able to order a pair without prescription lenses, for ~*~fashion~*~. I was surprised at the sturdy case they arrived in, complete with a cleaning cloth and a cute little repair tool, which is not in the picture. Luna was very curious. 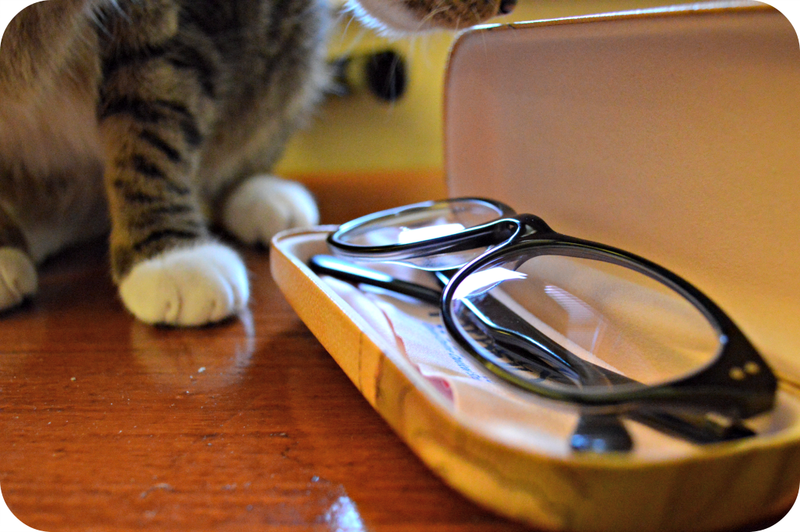 I think a pair of cat glasses would be adorable. I was really excited when they arrived to try on my nerd glasses!! I felt instantly more nerdy as I put them on, which I am happy about. The glasses themselves are well made and bend nicely. They are comfortable and fit my face perfectly. I can’t tell you whether I would order these for prescription glasses, since I don’t have prescription lenses, but if you are looking for an extra pair, you could always try them. I was able to pick from a ton of different styles. 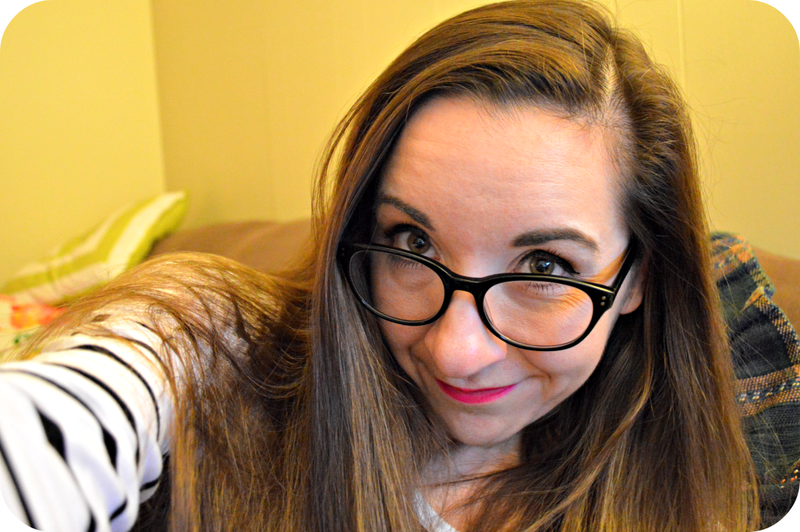 Overall, I was surprised at the quality and would probably try a pair for some fashionable every day glasses if I were a regular glasses wearer. You can even stick a picture of yourself in their viewer on their site to see if you like them on yourself. I wore them when we went to see my mom to freak her out, but she was excited about them. I am definitely going to hang on to them to wear out when I want to feel like a girl with a secret identity as a super nerd. If you want to try a pair, you can actually get a pair for free, just pay for the the shipping and lenses. They look so great on you!! I love that you chose a bold frame!! You had me cracking up when you said “As much as I keep asking, nobody pays me to write this stuff. Seriously.” – Too funny!! LOVE this pair! I need to start switching my style up more… I always go with black square/rectangle glasses – I'd love to try some rounder ones like this! I need to check out that site! you are so adorable. these glasses look super fetch on you. super nerdy. so i'm a super creep and i like the look of your house in the background. i think you should do a home tour as i am nosy like that. Love the pair you chose they look great!